Excerpt from Nature and Wellbeing in the Digital Age: How to feel better without logging off, by Sue Thomas. Paperback and Kindle. Buy Now. Perhaps you have noticed that digital guilt has become the media’s favourite way to fill an empty column or two? The smallest mention of the dangers of technology is guaranteed to make us shift uneasily as we scroll through our phones and tablets. wrote digital detoxer Mark Boyle. [i] Ouch! That makes me feel so inadequate, with my phone always in my pocket! This article was originally published on The Conversation in my column on Wired Well-being. Read the original article. Visit any urban park on a sunny day and you’ll see people relaxing with newspapers, books and, of course, phones and tablets. The digital has become part of our outdoor lives and that trend is set to continue. But there is another trend to take into consideration – the fact that many of us really prefer to stay inside. In 2009, the Monitor of Engagement with the Natural Environment survey began collecting detailed information on the public’s use and enjoyment of the outdoors. It found that while half (54%) of the adult population normally visited open spaces in and around towns and cities, such as parks, canals and nature areas, coasts and beaches; or countryside areas such as farm and woodland, hills and rivers at least once a week, 10% of respondents stated they had not visited the great outdoors in the previous 12 months and 8% had made only one or two visits. The figures could be better. There is plenty of evidence to show that being out in nature is good for our physical and mental health. So can we capitalise on our new-found love of the wired life to encourage more people to go outside? A new European research project called CyberPark aims to foster greater knowledge about the relationship between technology, communication and public spaces. Its main objective is to strengthen the dialogue between those already involved in creating public spaces and developing technology, and create new conversations designed to share knowledge, spark new ideas, and trigger new projects which capitalise on bringing nature and the digital closer together. It has great ambitions: a world of intelligent environments where sensors and computers are seamlessly embedded to enhance ordinary park activities, places where the landscape itself might respond to people moving through it. An indoors example of this might be Canadian architect Philip Beesley’s installation Hylozoic Ground, an immersive, interactive environment that moves and breathes around its viewers in which Beesley uses next-generation artificial intelligence, synthetic biology, and interactive technology create an environment that is nearly alive. In the past, the natural environment and digital domains were seen as distinctly different. But the growth of social media, wearable tech such as smartwatches, mobile connectivity – and that we now carry the internet in our pockets – are profoundly influencing the way we experience time, space, and other people. Soon, the rise of Google Glass and Oculus Rift, the virtual reality gaming headsets, will lead to even more blended environments. The CyberParks idea grew from a project which started in Ljubljana, Slovenia, in 1984, when landscape architect Ina Šuklje and her colleagues won a competition to design a new park on brownfield land close to the city centre. Bureaucratic hold-ups meant that the project proceeded slowly, but they did create a series of popular outdoor multimedia reading portals under the theme “United Books of the World”. However, financial support dwindled and the portals could not be maintained. They fell into disrepair. But when Lisbon-based landscape architect Carlos Smaniotto Costa visited the city in 2010, Šuklje’s experience ignited a new idea. The futuristic concept had been built before its time and was poorly supported by its funders. But now, in the second decade of the 21st century, the time was right to marshall the resources of the European community and learn how it might be done on a bigger scale. And so the idea of CyberParks was born. Smaniotto Costa co-ordinated an application to the European Co-operation in Science and Technology(COST) fund, one of the longest-running European instruments supporting co-operation among scientists and researchers across Europe. It saw CyberPark as a promising transdisciplinary idea, and agreed to fund it. In April 2014 the team met for the first time at COST’s towering offices in Brussels. I was there too, invited to contribute my technobiophilia research to the discussions. 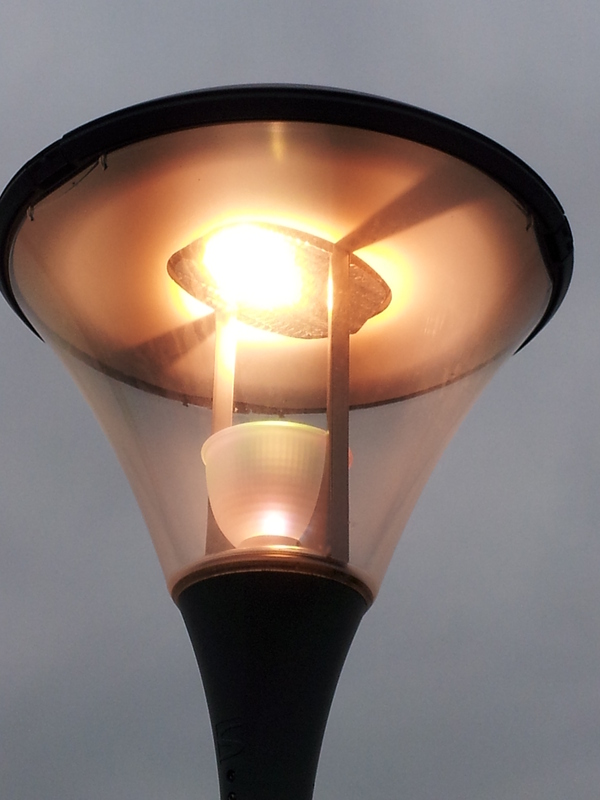 A number of projects related to the CyberPark ethos have already appeared. In Paris, for example, Escale Numérique (which translates as Digital Break), was designed by Mathieu Lehanneur to stand at the Rond Point des Champs-Elysées. Inspired by the city’s 19th-century network of drinking fountains, it taps into an underground fibre optic network to provide a fountain of free wifi in a haven of quiet on a busy city street. 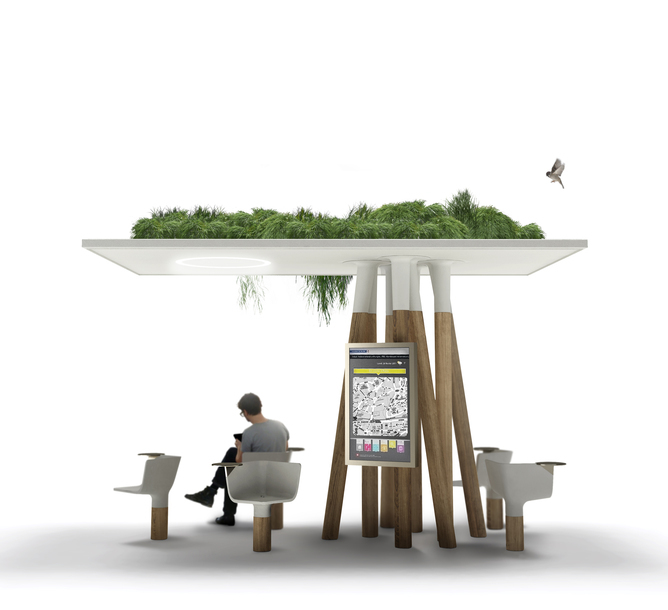 Comprising a large touch screen protected by a sustainable green roof covered with plants and concrete swivel seats with mini tables and an electricity supply, it heralds the kind of thing that could be achieved on a larger scale. The CyberPark team want to go further. Researchers from 21 countries gathered round the table at our first meeting in Brussels. There were urban planners, anthropologists, digital media specialists, landscape architects and architects, engineers, computer scientists, geographers, interaction designers and psychologists. At break time, I asked around. Did anyone have a clear idea of what a cyberpark might actually be? Nobody did, but that was the point. We were there to find out, to embark together on a four-year adventure to discover the future of urban parks. But we all agreed on one thing – however digital it might get, the essence of the park is all about being outdoors, experiencing nature, and encountering other people. “I just want to know,” said Thanos Vlastos, a professor of urban and transport planning at the National Technical University of Athens and self-confessed utopian, “how we get people to go outside?” It’s something that we plan to find out. …deer wandering through a sunlit forest glade. Birds sing, a stream rushes by, people are quietly working. You notice an odd wooden structure, a complicated camera rig, and a man with a megaphone. He says ‘Take One’. Someone sets a wooden ball onto a series of carpentered rails built like a long thin staircase. The ball alternately rolls and falls from one step to the next. Every time it drops, the impact generates a single musical note. Then another. You realise you are looking at an exquisitely-designed giant marimba and it is playing a familiar piece of music — Bach’s cantata ‘Jesu, Joy of Man’s Desiring’. Eventually the ball rolls to an exact stop on a wooden ledge where two mobile phones stand side-by-side, one facing to the front, the other to the back. It is a surprise to find these hi-tech devices in this woodland grove. The screen of each phone is rectangular just like other smart-phones but the case is unusual in that it is made from real cypress wood and smoothly curved to fit perfectly in the palm. The grain of each is different from the other because, of course, no two slices of wood look the same. This is a promotional video for the Sharp Touch Wood SH-08C, filmed in a forest on the island of Kyushu, Japan. The combination of wild nature with state-of-the-art technology may at first appear incongruous but in the pages ahead we shall come to understand how thousands of years of human experience lie behind the design and marketing of this very contemporary piece of kit which has been encased in an ancient material and ‘discovered’ in a stand of trees. As the movie comes to an end there is a brief moment when your imagination places the phone into your hand and you can almost smell the tangy aroma of the forest. Then another email pops up and you are back in the real world of any desk anywhere. But your brief excursion has made you feel just a little refreshed and before opening the mail you follow the link in the video to check out where you might be able to buy such a phone. Maybe it would be good to own that piece of real wood, to gaze at its patterns and feel its warmth between your fingers. This kind of momentary reverie at the computer transports us into natural spaces which are very different from the industrial plastic and glass of modern life, and an increasing number of technology companies know that appealing to our love of nature in order to sell high tech products is both powerful and influential. But how did this apparently incongruous synergy come about? It seems to be connected to the fact that as the internet developed it generated new kinds of experiences and encounters, such as ‘being online’, and new kinds of innovations then grew up alongside them. But all these tools and designs needed names, and many of the names we gave them drew upon metaphors from the natural world. These terms were not imposed on us and there was no single person directing them; rather, they seem to have evolved as part of the haphazard lingua franca of cyberspace. If the idea seems unlikely, consider this: just as the town of Macondo in Gabriel Garcia Marquez’ novel One Hundred Years of Solitude was ‘so new that some things still lacked names’, so it was too with cyberspace. And even today the language of computers and cyberspace is still saturated with images from nature: fields, webs, streams, rivers, trails, paths, torrents, and islands; flora, including apples, blackberries, trees, roots, and branches; and fauna, such as spiders, viruses, worms, pythons, lynxes, gophers, not to mention the ubiquitous bug and mouse. This is somewhat surprising since internet culture is an entirely new construction built by human beings who mostly live in cities, and until very recently our engagements with it have taken place largely indoors because computers have needed to be close to an electricity supply. The advent of better batteries and mobile technologies is now changing that, but why should cyberspace have any relationship with nature anyway? As we shall see, the reasons are both unexpected and comforting in a world riven by anxieties about the effects of technology on our health and well-being. The problem with cyberspace is that we love it, and we fear that we love it too much. When it comes to our phones, tablets and computers we are constantly torn apart by passion and guilt in equal measures. Are they making us addicted? Anti-social? Brainless? But how can that be when they also make us so happy? Strange as it may seem, there could be a connection between our passion for cyberspace and our affection for the natural world. Extensive research by environmental psychologists and social biologists has already demonstrated that exposure to nature helps us in many different ways such as relieving stress and restoring attention and concentration. Author Richard Louv, who coined the term ‘nature deficit disorder’, writes ‘The more high-tech our lives become, the more nature we need to achieve natural balance.’ It might seem important, therefore, that we turn off our machines and go outdoors, and there are certainly many times when this is advisable. But the situation is more complicated than that. My research shows that some of the features we so value in the natural world can also be found online; indeed,our subconscious has already imprinted nature into cyberspace. Now we need to recognise how that is happening and harness it for ourselves. 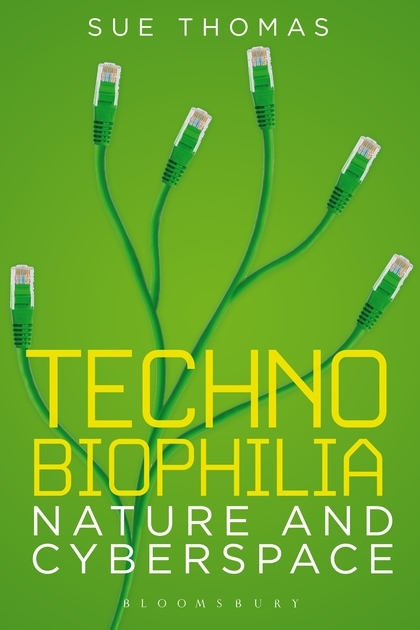 You’ve just read the first two pages of my new book Technobiophilia: nature and cyberspace. It’s published today in the US & Canada. Find out more here.